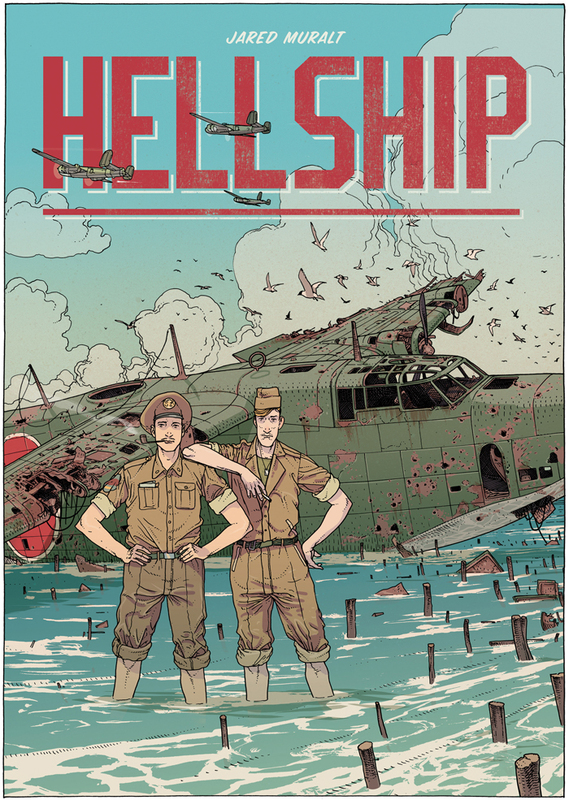 Hellship is Jared’s first single-handed comic project. 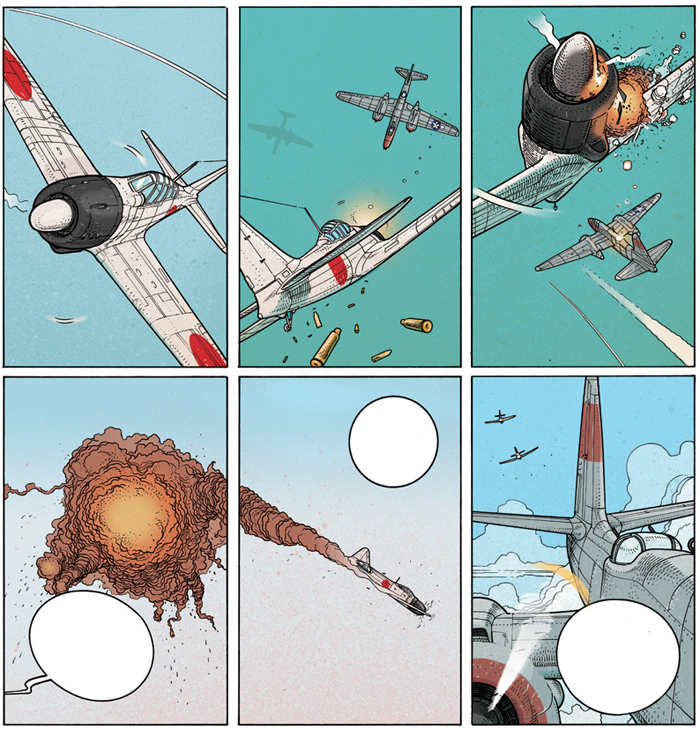 Detailing scenes from WWII, the comic tells a historical and action-packed account of battle, military life and the perils of war. 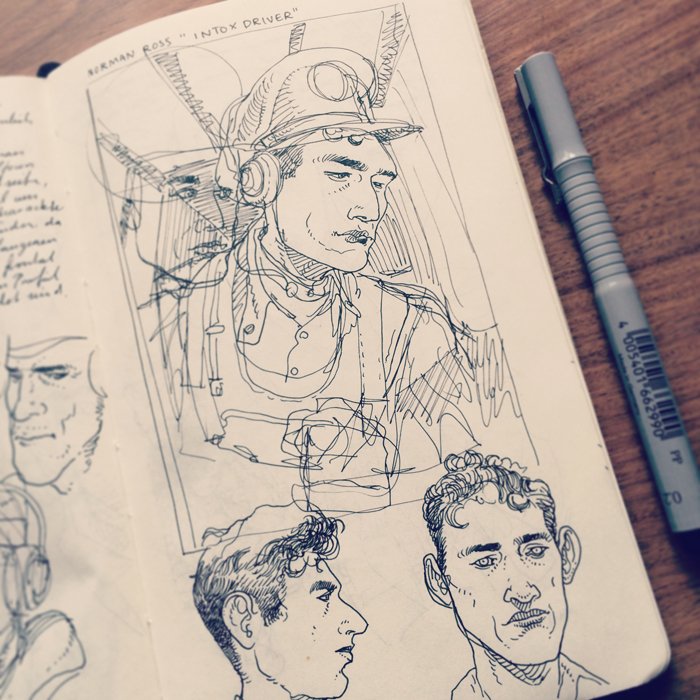 Bookended by dramatic, comprehensive pictures of a sinking ship and aerial warfare, Jared offers thoughtful, everyday depictions of the men at war. 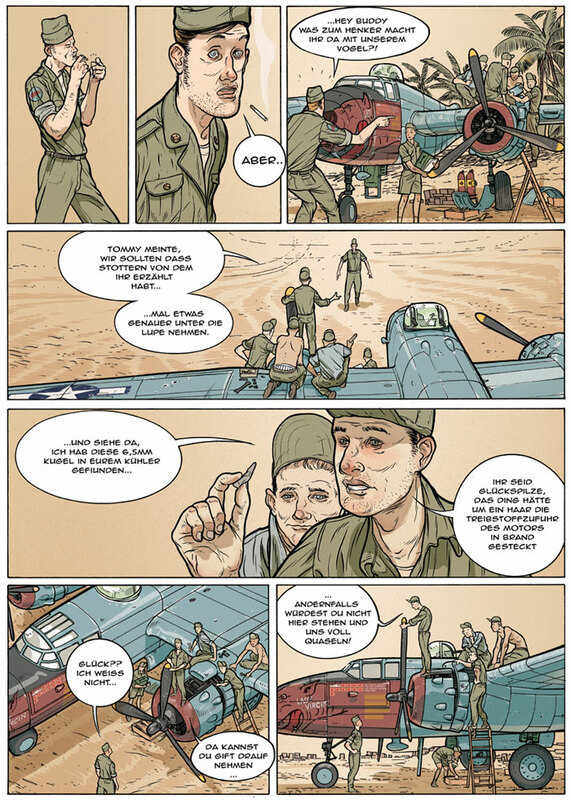 His soldiers are young and team oriented; they appear in conversation, engaged in combat and together they maintain their equipment and planes. Suspenseful and gripping, Hellship will be completed in late 2014. Hallo Jared. 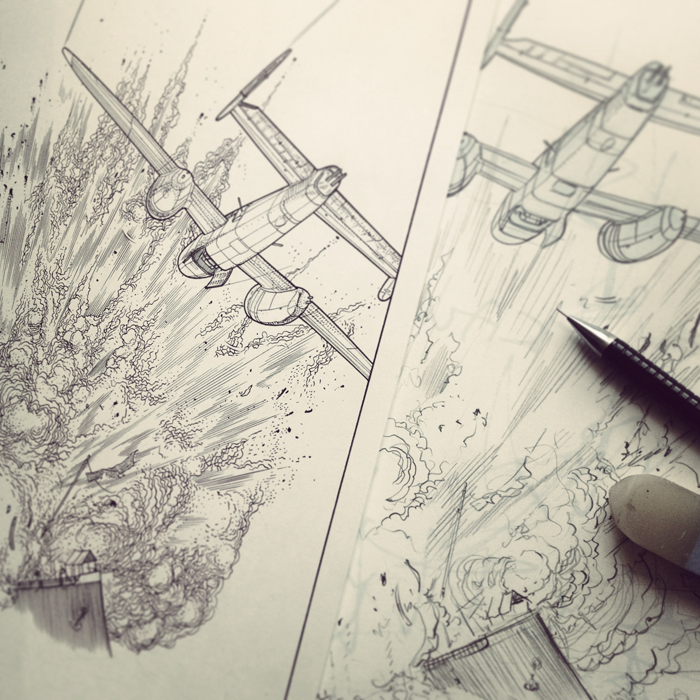 grossartige Illustrationen und Arbeiten! Wo kann ich der Comic “hellship” kaufen? Where can I buy this book? I’m still working on this one but it will be available early 2015. Thank you very much so far! Dear Jared — The excerpts of Hellship look terrific! I was wondering whether you will produce posters (incl. original art) out of the book. I already have a few of yours from other works, and one or two from the new book would be a must! Congratulation on this achievement and on the hard work to get there. Looks amazing. Any original pages for sale?